The National Heritage Centre for Horseracing & Sporting Art is now complete and will to be formally opened by Her Majesty The Queen today. GWP Architecture have been involved in the design and realisation of the new centre for ten years, over seeing the restoration and refurbishment of the remains of King Charles II’s sporting palace and stables at the heart of Newmarket in to the Museums new home. The new facility comprises of three main features – the new National Horseracing Museum, a National Art Gallery of British Sporting Art and a home for retired racehorses. The Monarch who is Patron of the National Horseracing Museum officially opened the original museum building on Newmarket High Street 33 years ago in April 1983. Since then the museums collection has steadily grown and is now displayed across 12 newly constructed galleries that showcase the internationally significant objects, paintings, trophies and silks that has been curated over the last 30 years. This year marks 350 years of the sport of kings in Newmarket. 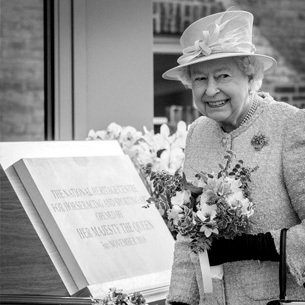 Today our longest serving monarch formally open this heritage centre – that commemorates Newmarket’s unique status as the international headquarters of horseracing. Head to our project page for further information or www.palacehousenewmarket.co.uk to visit the Museum.